MIAMI, FL – May 3, 2018 – U.S. Stem Cell, Inc. (OTC: USRM), a leader in the development of proprietary, physician-based stem cell therapies and novel regenerative medicine solutions, announced its Chief Science Officer, Dr. Kristin Comella, appeared live today as a featured guest for the Biohacker Summit blog — a component of the Biohacker Center in Helsinki, Finland. Free online viewing of the live interview on stem cells is available in its entirety here. Dr. Comella, who has more than 20+ years’ experience and is a world renowned expert in the development and clinical practice of stem cell products and therapies, is extensively published in the scientific literature in the practical application of autologous (a patient’s own) stem cell therapy. Last month, Dr. Comella and her team were the first in the world to publish in the scientific literature in-human results of adipose stem cell therapy significantly reducing psoriasis — a condition that affects more than 7 million Americans annually. Her leadership continues to inspire other physicians who can train and certify in stem cell therapy with Dr. Comella and her team. AdipocellTM is USRM’s proprietary, stem cell kit that enables physicians to separate potent stem cells from a patient’s own fat cells, which are harvested and reinserted in an outpatient two-hour procedure that does not require general anesthesia. Using one’s own stem cells may be a significant advantage, since rejection and other detrimental factors such as disease transmission may occur when a patient uses donated stem cells. 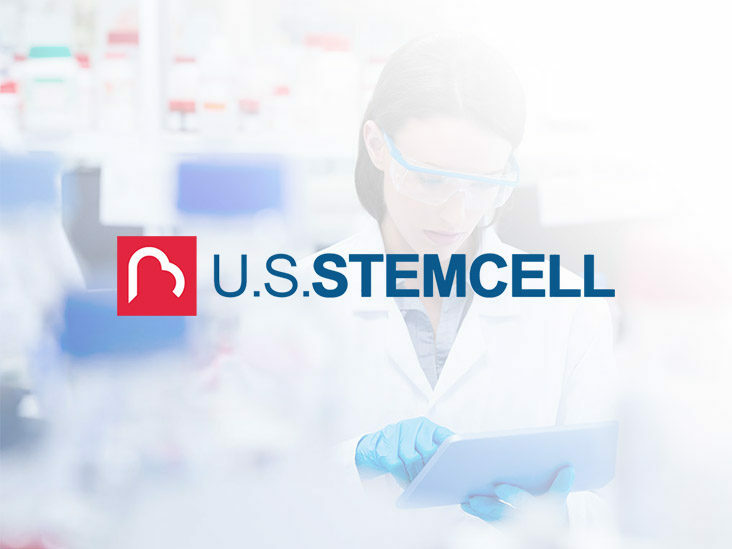 To date, more than 700+ physicians worldwide and 288 clinics have engaged with USRM to learn how to integrate stem cells into their own practices. Autologous stem cell treatments harvested from the patient’s own fat can provide healthier alternatives to the use of pharmaceuticals for treating chronic pain and degeneration for a variety of indications including orthopedic, autoimmune, degenerative and neurological diseases. Chronic pain has been the source of a national opioid epidemic which The New York Times reported in October is the leading cause of death for Americans under 50. U.S. Stem Cell, Inc. is an emerging leader in the regenerative medicine / cellular therapy industry specializing in physician training and certification and stem cell products including its lead product AdipocellTM, as well as veterinary stem cell training and stem cell banking and creation and management of stem cell clinics. To management’s knowledge, USRM has completed more clinical treatments than any other stem cell company in the world in the past 20 years.